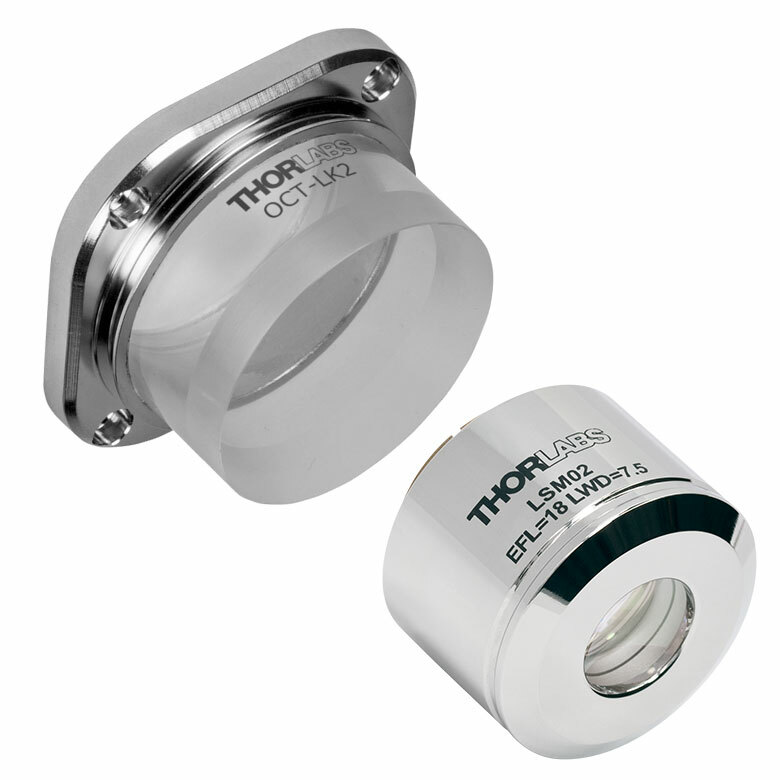 Thorlabs' Vega Series 1300 nm OCT Imaging Systems provide the flexibility required for long-range and high-speed imaging applications. 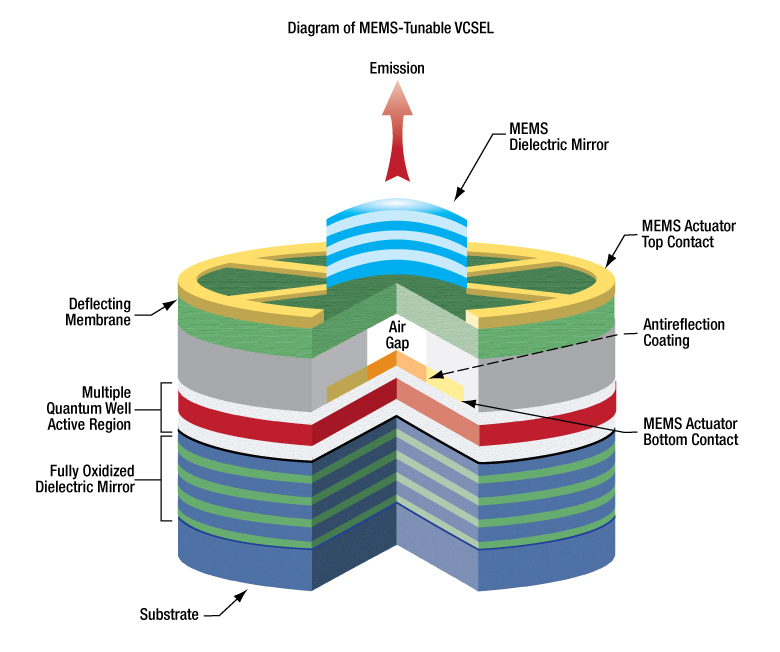 The MEMS-VCSEL source used in these swept-source OCT (SS-OCT) systems produces light with a much longer coherence length than broadband sources, enabling stronger backscattered signals at longer imaging depths. 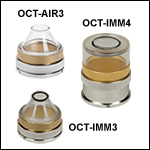 This advantage makes SS-OCT systems particularly apt for clinical applications, such as cardiovascular or opthalmological imaging. 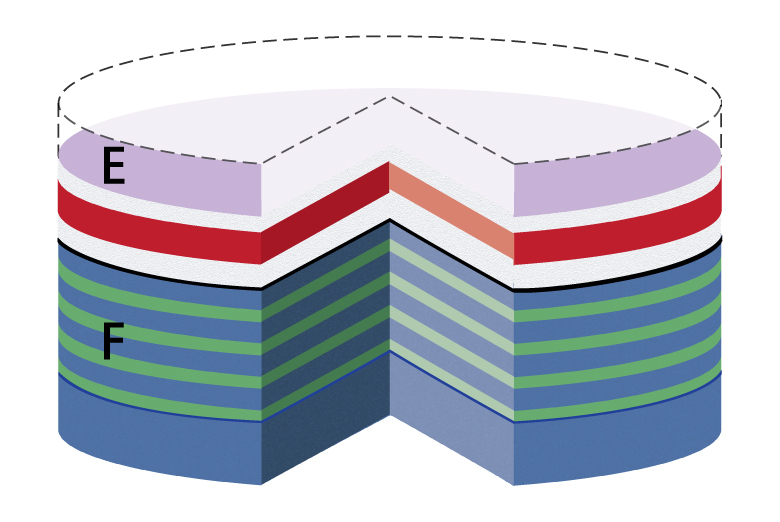 Optical Coherence Tomography (OCT) is a noninvasive optical imaging technique that produces real-time, 2D cross-sectional and 3D volumetric images of a sample. 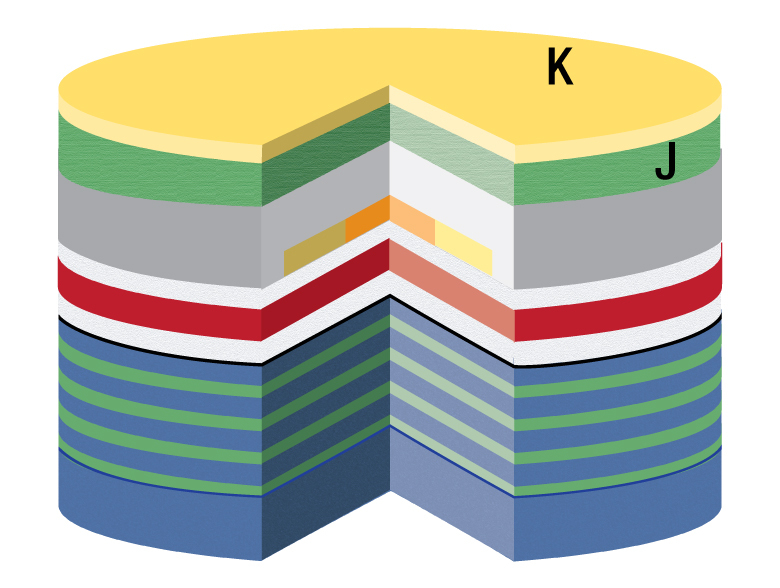 This technique provides structural information about the sample based on light backscattered from different layers of material within that sample, producing images with micron-level resolution and millimeters of imaging depth. 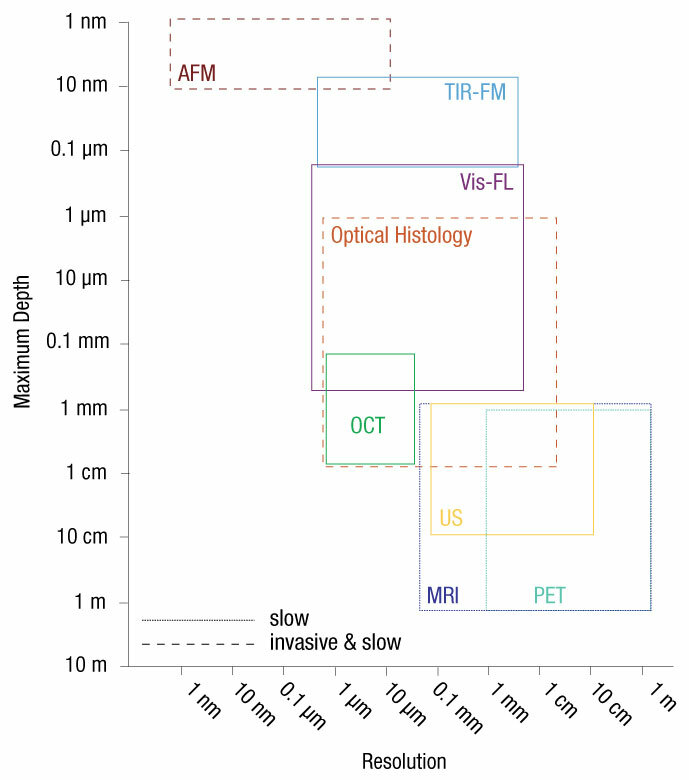 OCT imaging can be considered as an optical analog to ultrasound imaging that achieves higher resolution at the cost of decreased penetration depth. In addition to high resolution, the non-contact, noninvasive nature of OCT makes it well suited for imaging samples such as biological tissue, small animals, and industrial materials. 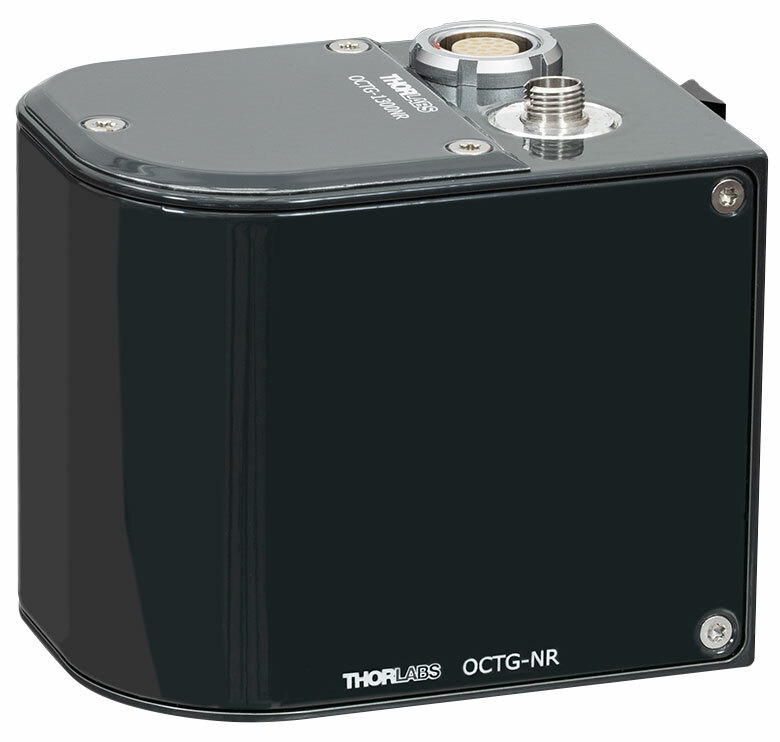 Each of Thorlabs' OCT systems includes a computer with ThorImageOCT 64-bit software installed. 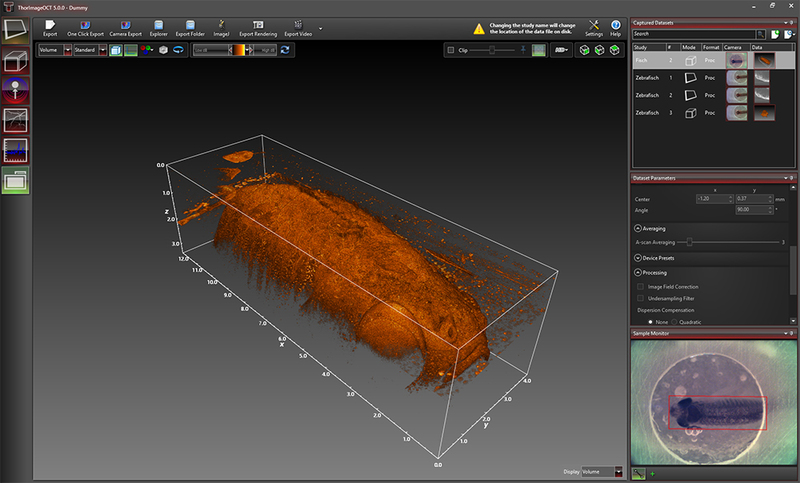 The software displays and processes 2D and 3D OCT data in real time. There are two options for selecting a Vega Series OCT system: choosing a complete, preconfigured system (Item # VEG210C1 or VEG220C1) that consists of components pre-selected from this page, or choosing an OCT system optimized for your specific application. When the popular latter option is taken, the Vega OCT system is configured from individual components on this page. We invite you to contact us to assist in identifying the best options for your application. 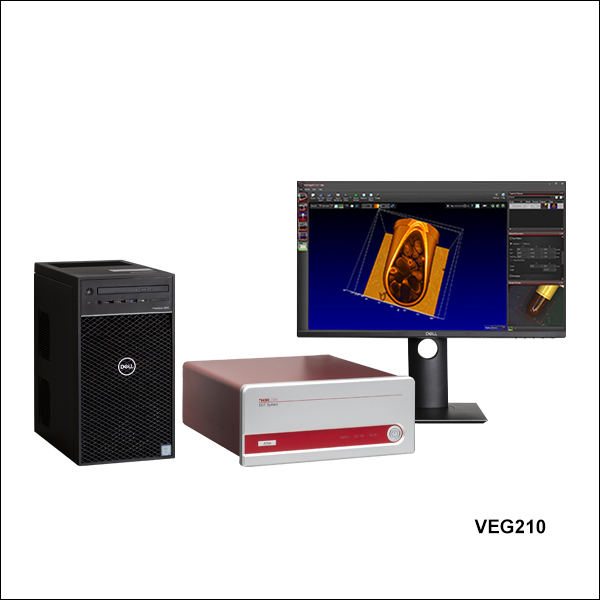 Each Vega OCT system includes, at a minimum, a base unit, a beam scanning system, and a scan lens kit. 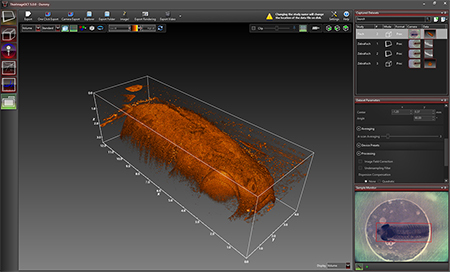 Scanner options include a robust standard scanner, a user-customizable scanner, and a portable handheld scanner. 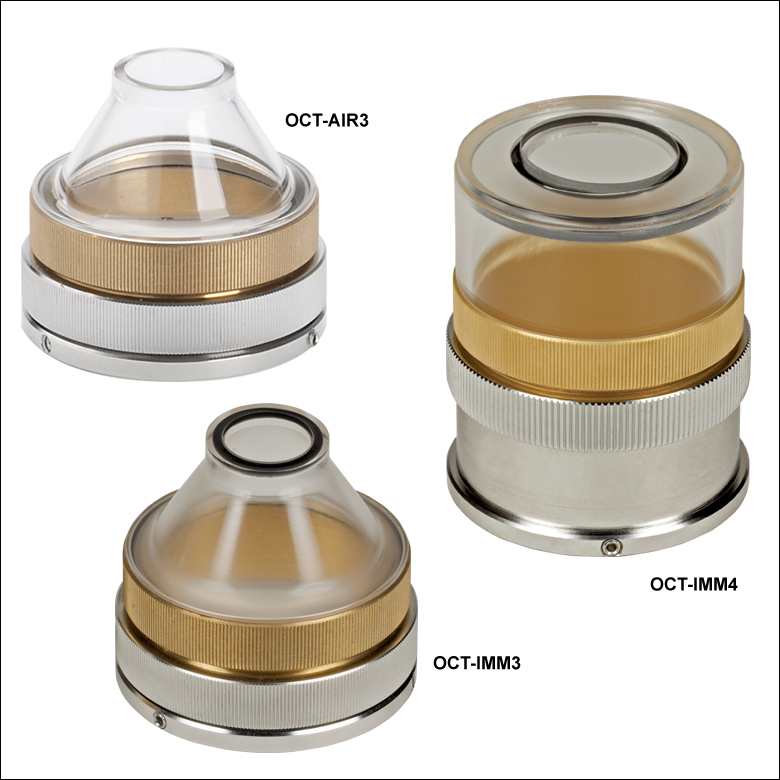 A selection of scan lens kits provides the flexibility to tailor imaging resolution or working distance. 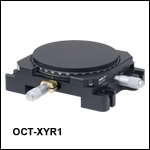 Optional accessories, also available below, further customize your OCT system to meet the requirements of your application. The components available below can also be used to upgrade your existing Thorlabs OCT system with additional features and are fully compatible out of the box with Thorlabs' OCT systems and accessories. While most systems are upgradable, we recommend contacting the OCT Team to determine the optimal solution for your system and intended application. Several hardware adjustments for the Vega SS-OCT systems can be made using the included ThorImage®OCT software package. 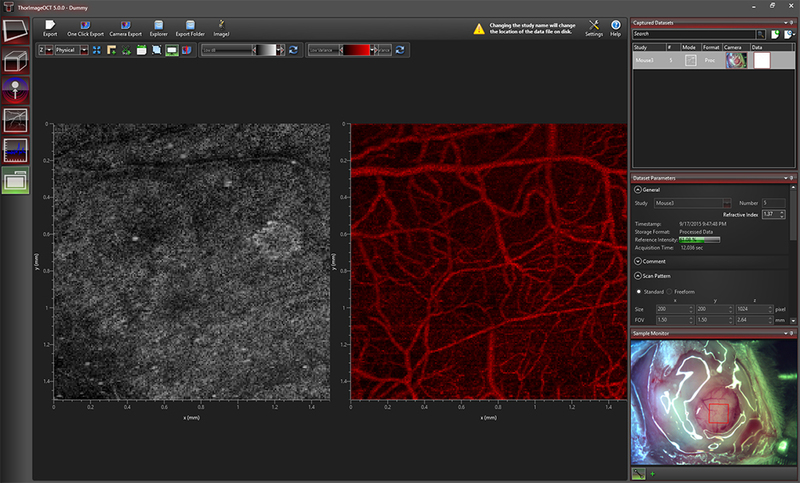 To achieve optimal imaging results, users can adjust the intensity of the reference light as well as the sensor gain using the software (see image to the near right). This ensures the full dynamic range of the system can be used with a wide variety of sample materials. 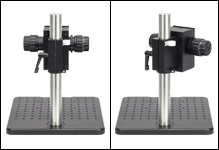 Additionally, the Vega line of OCT systems contains two motorized polarization adjusters, which can be controlled from the software to reduce image artifacts by matching the polarization state of sample and reference light. Vega OCT base units contain a motorized reference stage, which allows fast and precise control of the path length in the reference arm of the interferometer directly from the ThorImageOCT software (see image to the far right). 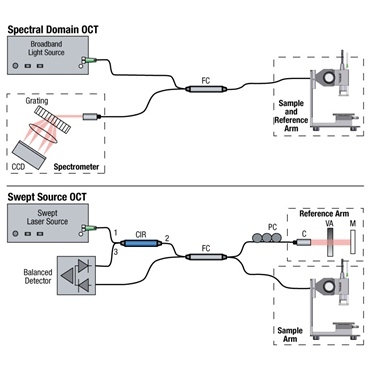 Optical coherence tomography (OCT) noninvasively and non-destructively generates cross-sectional (2D) and volumetric (3D) images of samples by probing them with a light beam and then analyzing the backscattered light. 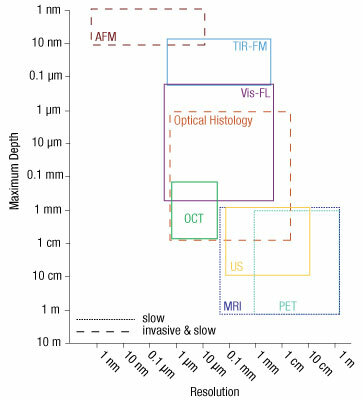 The characteristics of the OCT light source influence a number of performance parameters, including axial resolution, imaging depth, and sensitivity. 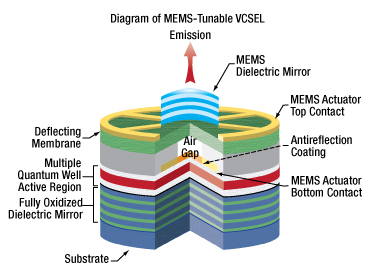 The Vega series of OCT systems use a swept-wavelength vertical cavity surface emitting laser (VCSEL) source to provide the probe light beam. This laser source always emits a narrow linewidth laser beam with long coherence length. 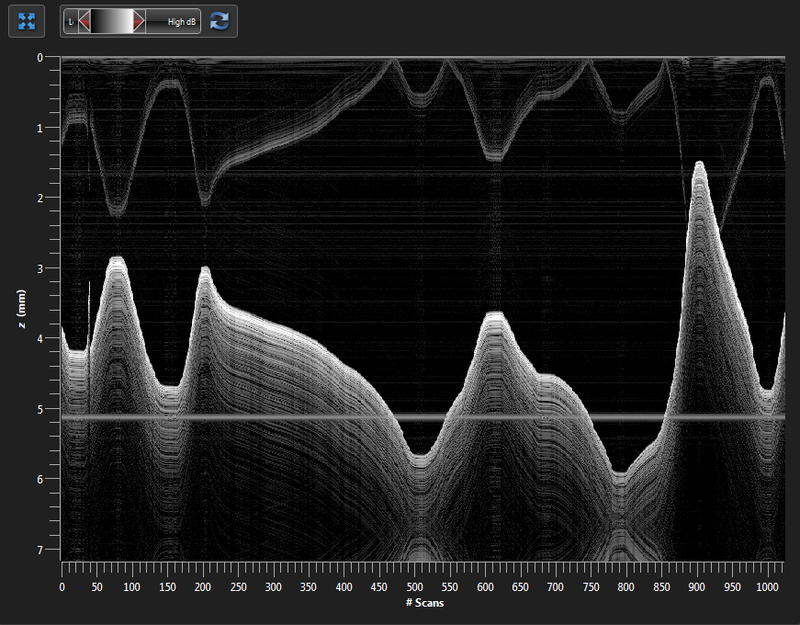 During operation, the center wavelength of this single mode emission is quickly tuned across a broad spectral range. 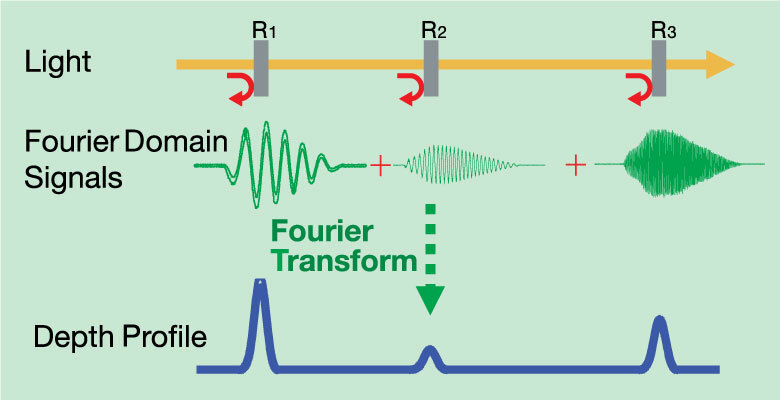 As the wavelength sweeps, a detector records the backscattered intensity from the sample as a function of time (wavelength). 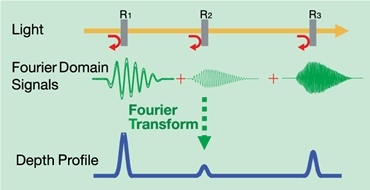 Because the laser's power is always concentrated at a single wavelength, instead of spread across a wide spectral width, it produces a stronger backscattered signal at each wavelength than is possible with a broadband source possessing comparable total optical power. The buttons below link to PDFs of printable materials and a graphical customization guide for our Vega Series OCT Systems. 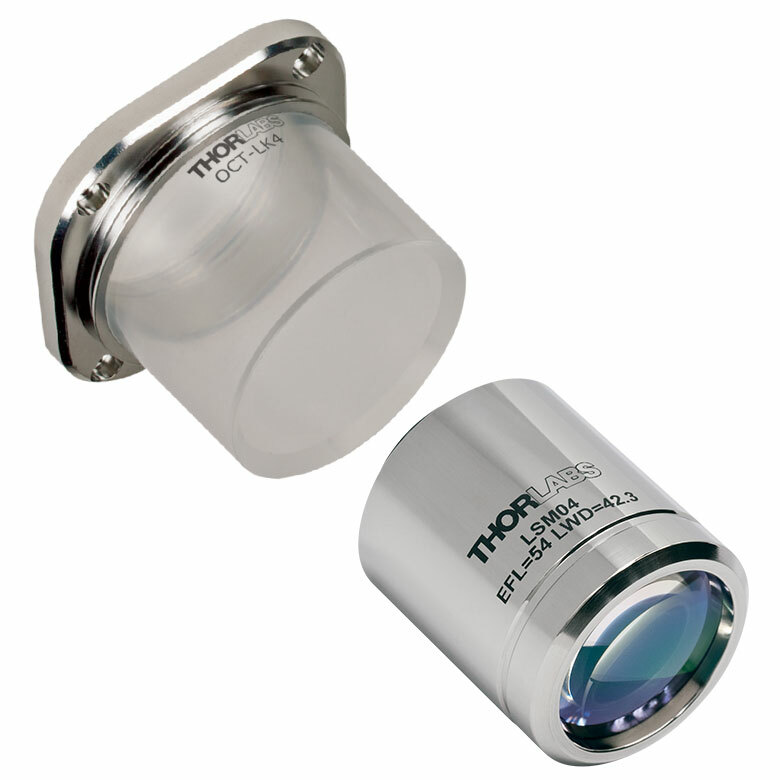 Thorlabs offers complete, preconfigured 1300 nm Vega OCT systems for high-speed, deep-imaging applications. 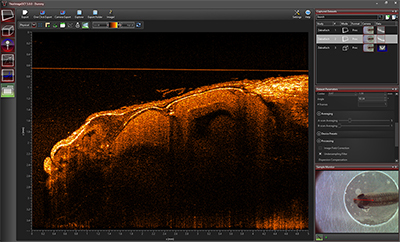 The VEG210C1 configuration features an imaging depth of 11 mm with an A-scan rate of 100 kHz. 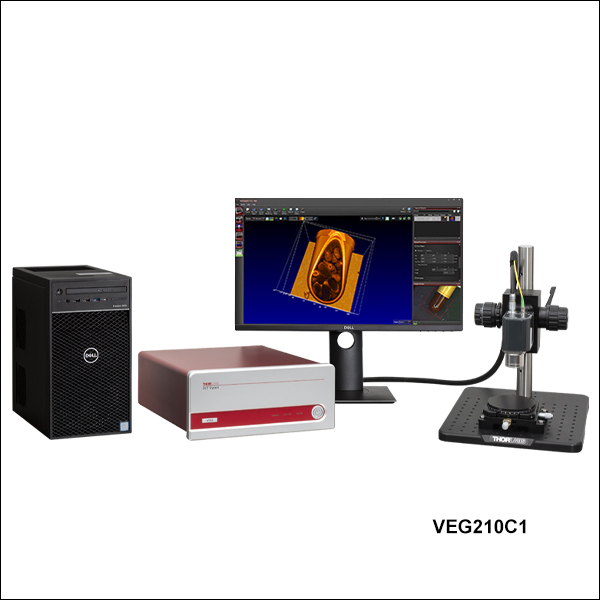 The VEG220C1 configuration features an imaging depth of 8.0 mm with an A-scan rate of 200 kHz. Both preconfigured systems are fully compatible with all Vega Series OCT components. This Vega Series OCT system configuration is built completely from components sold in sections located lower on this page. 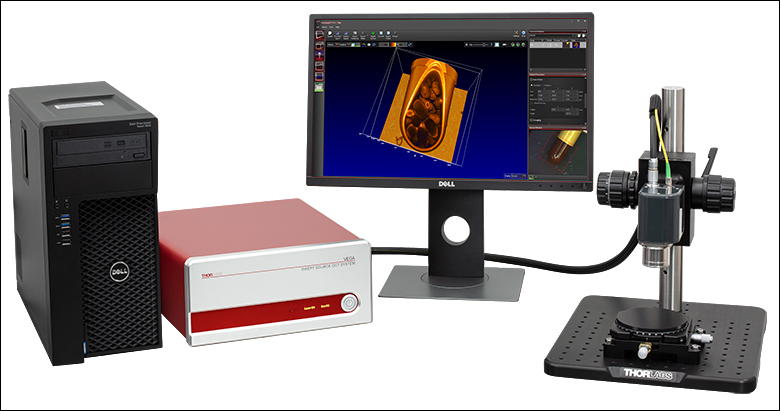 Preconfigured systems include the three essential OCT system core components (the base unit, a scanning system, and a scan lens kit), as well as two optional accessories (scanner stand and translation stage). For more information about a component included in the preconfigured systems, click on the component description in the table to the lower left to navigate down to the related section on this page. 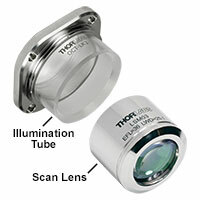 For information about this system or to inquire about custom configurations, please contact oct@thorlabs.com. 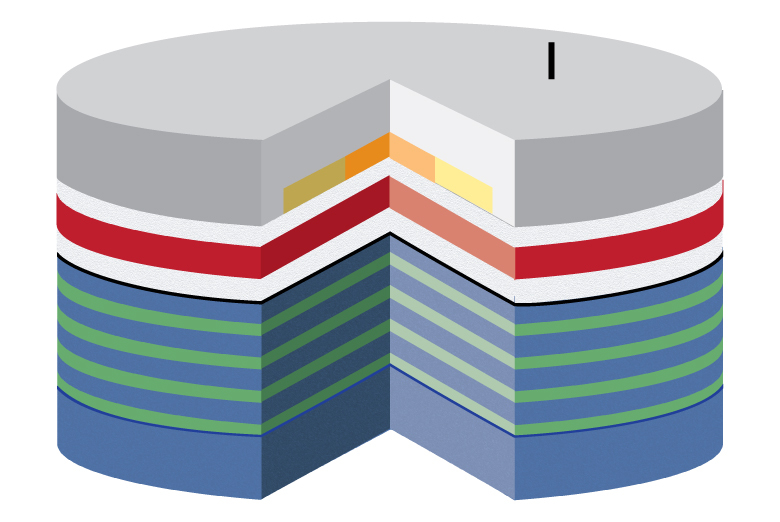 The imaging performance of any OCT system is largely dependent on the design and components incorporated into the base unit. 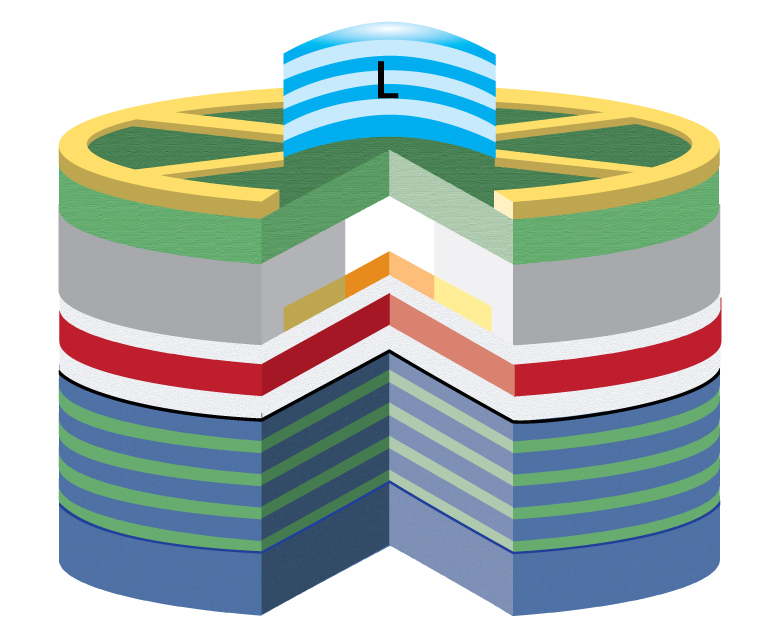 All of Thorlabs’ OCT Base Units include an OCT engine, high-performance computer, pre-installed software, and a software development kit (SDK). 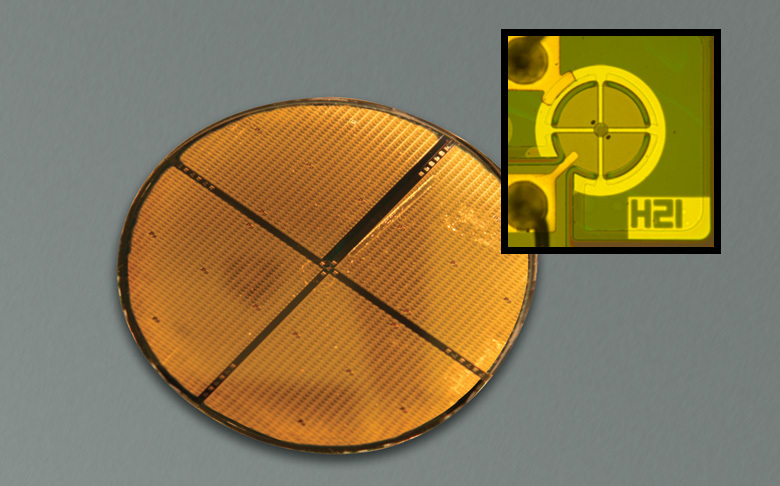 The Vega OCT Base Unit uses one housing for both the microelectromechanical system based vertical-cavity surface-emitting laser (MEMS-VCSEL) swept source and the imaging module. Integrated into the imaging module are the scanning electronics and an interferometer with a balanced detector. 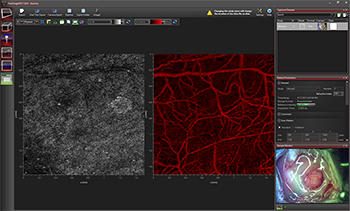 Several key hardware controls can be adjusted using the included ThorImageOCT software, such as polarization controllers, sensor gain, and reference intensity (see the Software tab for more details). 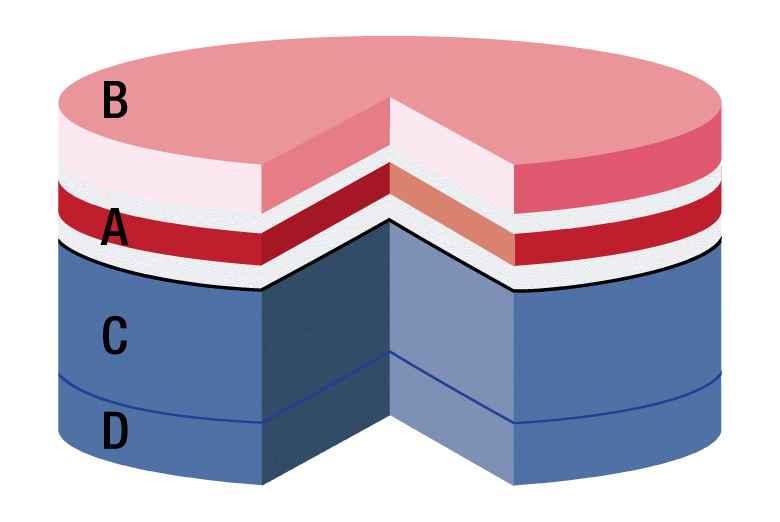 The overall dimensions of the housing is 361.8 mm x 305.0 mm x 143.0 mm (14.24" x 12.01" x 5.63"). Please note that, in addition to this base unit, a fully operational OCT system must also include one scanning system and one scan lens kit, both of which are sold separately below. 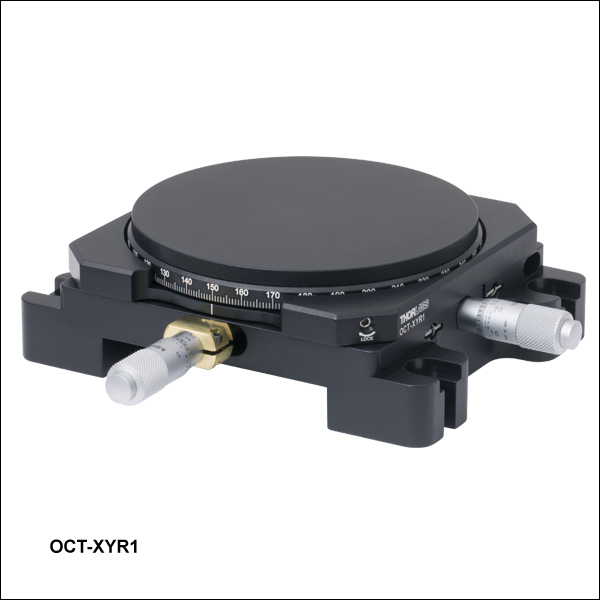 As the dual-path interferometer built into the Vega OCT Base Unit includes the reference arm, the Vega OCT system scanners are configured without a beamsplitter or interferometer reference arm. 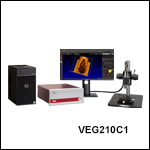 The VEG210 and VEG220 Deep-Imaging Base Units integrate an optimized MEMS-VCSEL swept-wavelength laser source. 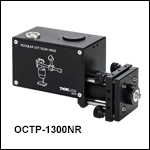 We have designed this laser to achieve the fast sweep rates of 100 kHz or 200 kHz while providing 100 nm of tuning bandwidth, which enables the high performance of the Vega SS-OCT system. These base units are an ideal choice for simultaneously achieving high-speed and long-range imaging of highly scattering samples in an air medium. 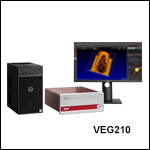 While the VEG210 Base Unit has been optimized for deep imaging at an A-scan rate of 100 kHz, the VEG220 Base Unit has an A-scan rate of 200 kHz at the expense of slightly less imaging depth. 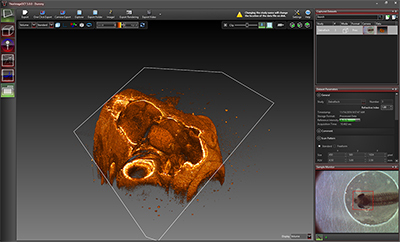 Thorlabs’ OCT Scanning Systems rapidly scan the OCT light beam across the back aperture of the scan lens, which enables 2D cross-sectional and 3D volumetric imaging of the sample. 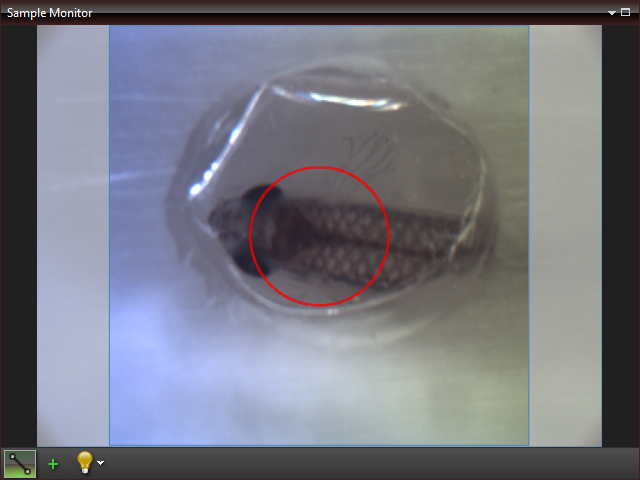 OCT applications can vary widely, from live animal imaging to industrial materials analysis, with each requiring a different set of scanning parameters. We currently offer three types of beam scanning systems for use with our Vega Base Unit: standard, user-customizable, and handheld. 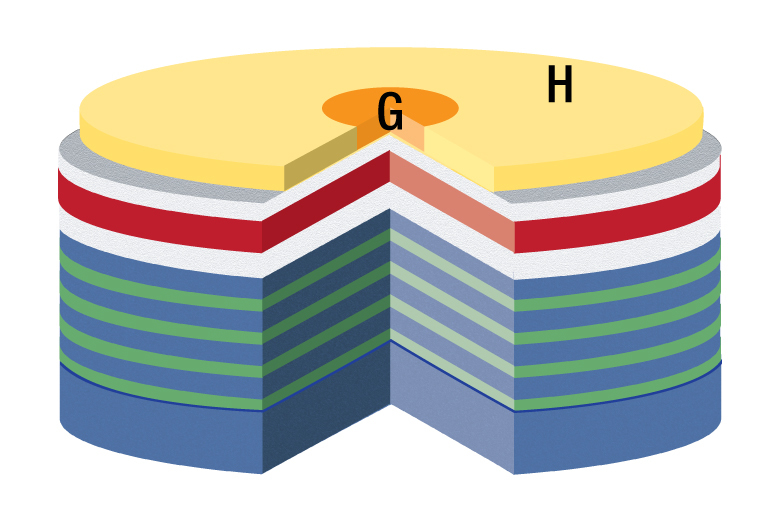 In the case of the Vega OCT systems, the reference interferometer arm is enclosed in the Vega Base Unit, described above. 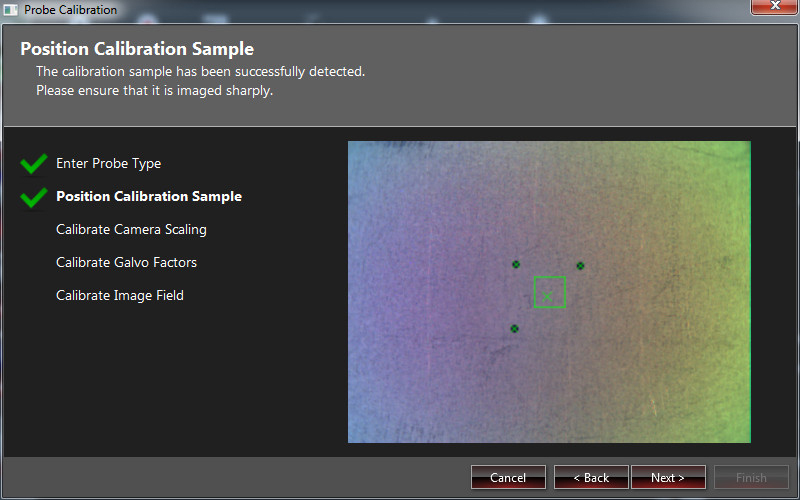 The Vega's beam scanning systems are therefore configured without the reference arm and beamsplitter. 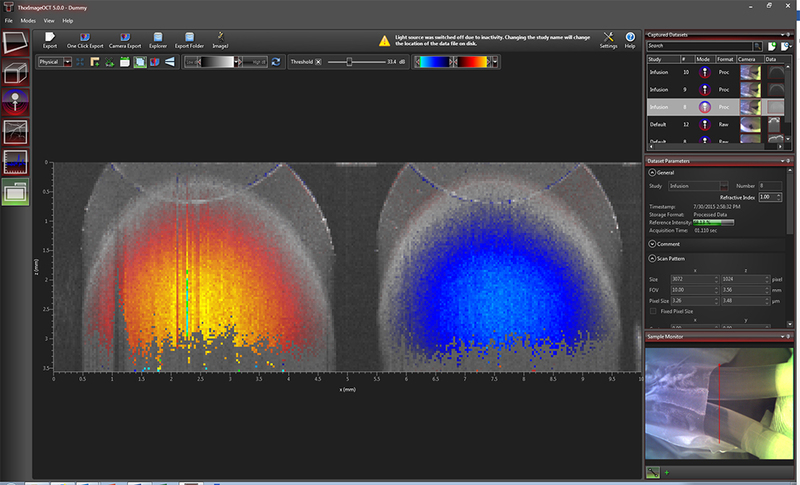 Dispersion effects from the sample (e.g., imaging through water or glass) can be compensated for using the included ThorImage OCT software. All scanners are equipped with an integrated camera that can obtain real-time en face video of the sample during OCT measurements when used with our ThorImage OCT software (see the Software tab for details). 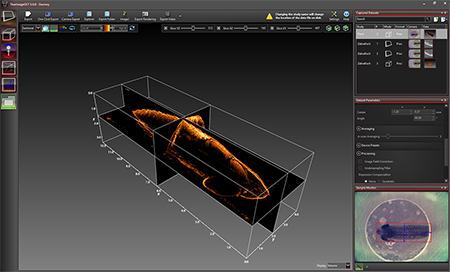 Illumination of the sample is provided by a ring of user-adjustable white light LEDs around the exit aperture of each scanner. 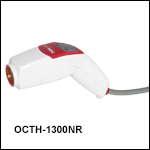 The OCTG-1300NR Standard Scanner is ideal for imaging applications that require a stable, easy-to-operate setup. 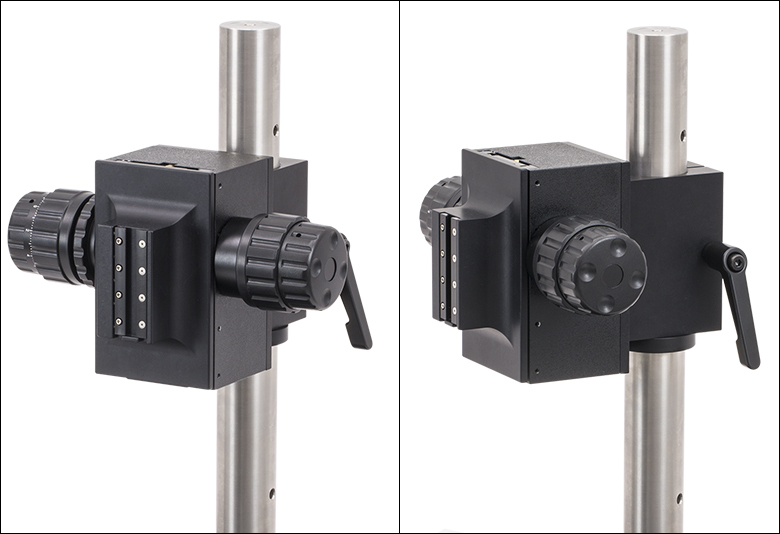 The entire design of the standard scanner is contained within a rugged, light-tight housing that minimizes the risk of misalignment. 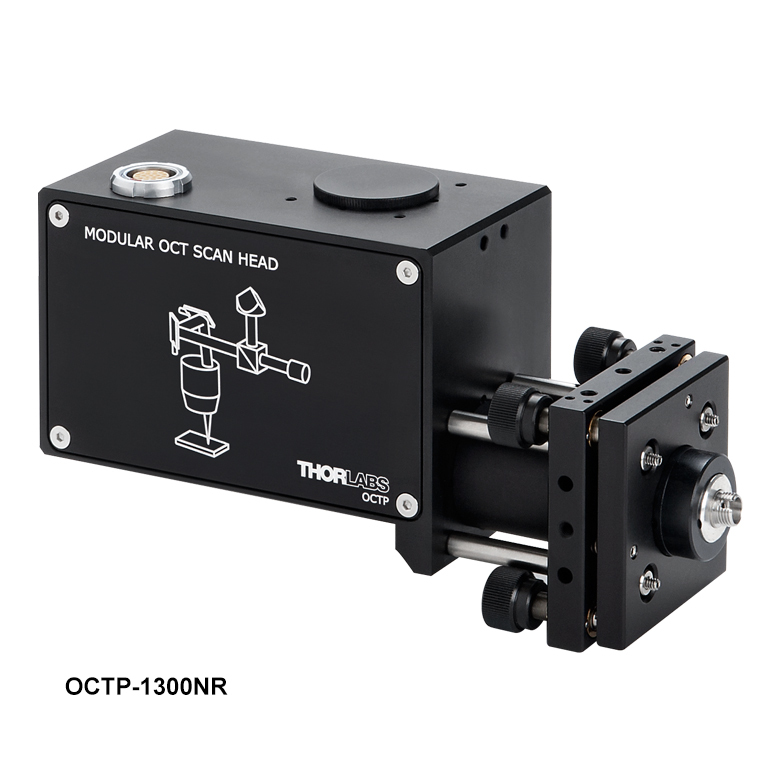 The OCTP-1300NR(/M) User-Customizable Scanner is designed with an open construction to enable easy customization of the optical beam path using Thorlabs' standard optomechanical components. 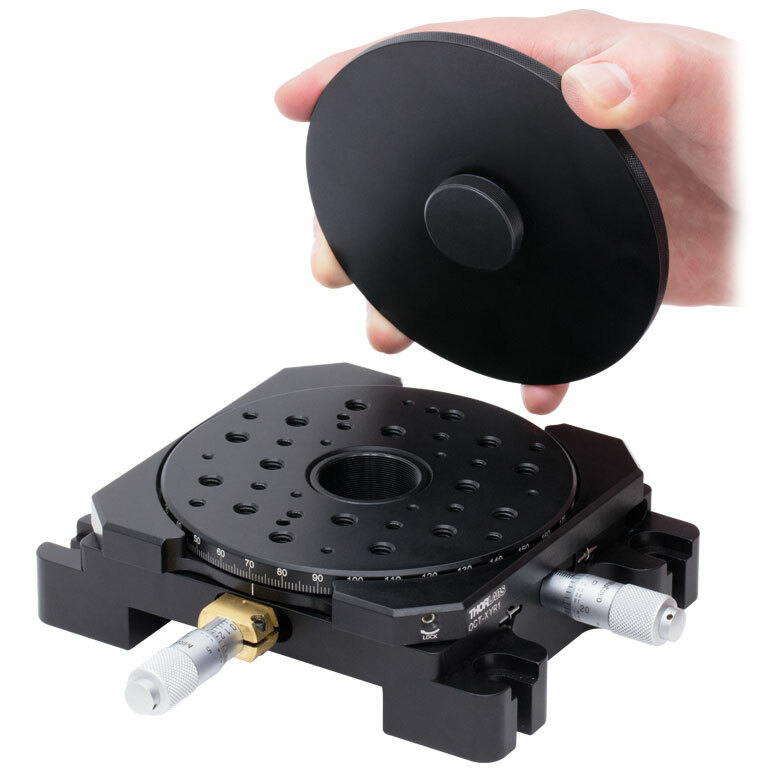 This scanner features SM1 (1.035"-40) ports and 4-40 tapped holes at several locations that allow mounting of SM1-threaded or 30 mm cage-compatible components, respectively. 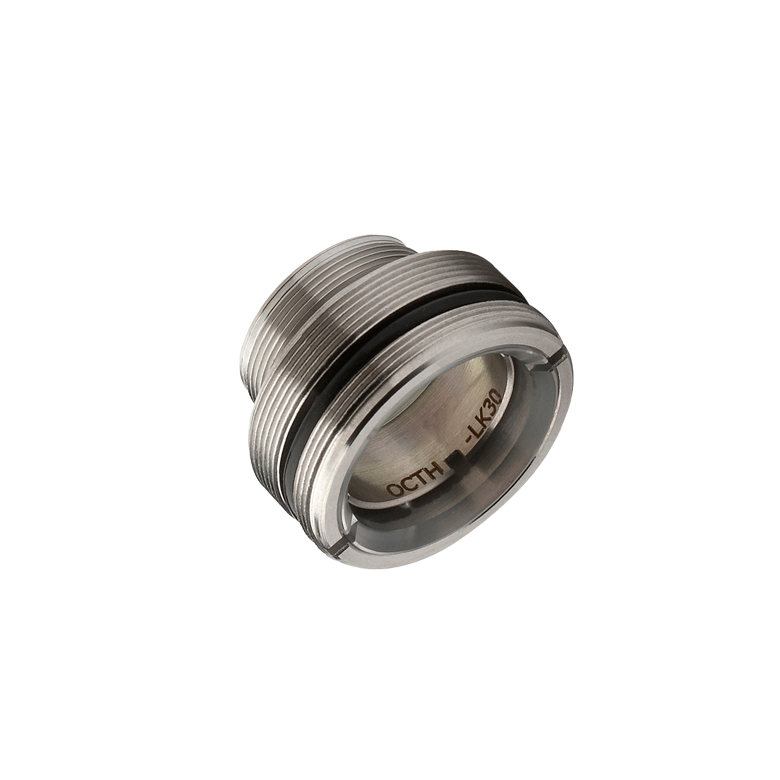 The scan lens port is directly compatible with either M25 x 0.75 or SM1-threaded components, and can be converted to other thread standards, such as RMS (0.800"-36) via our selection of thread adapters. 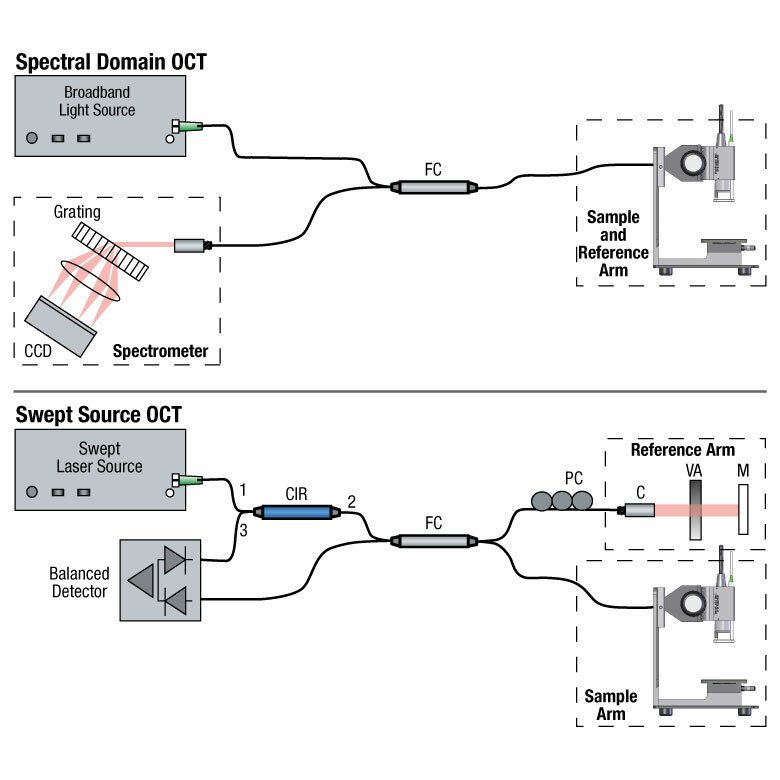 Additional scanning and non-scanning optical input/output ports are available for integration of a laser for fluorescence excitation or additional sample illumination. 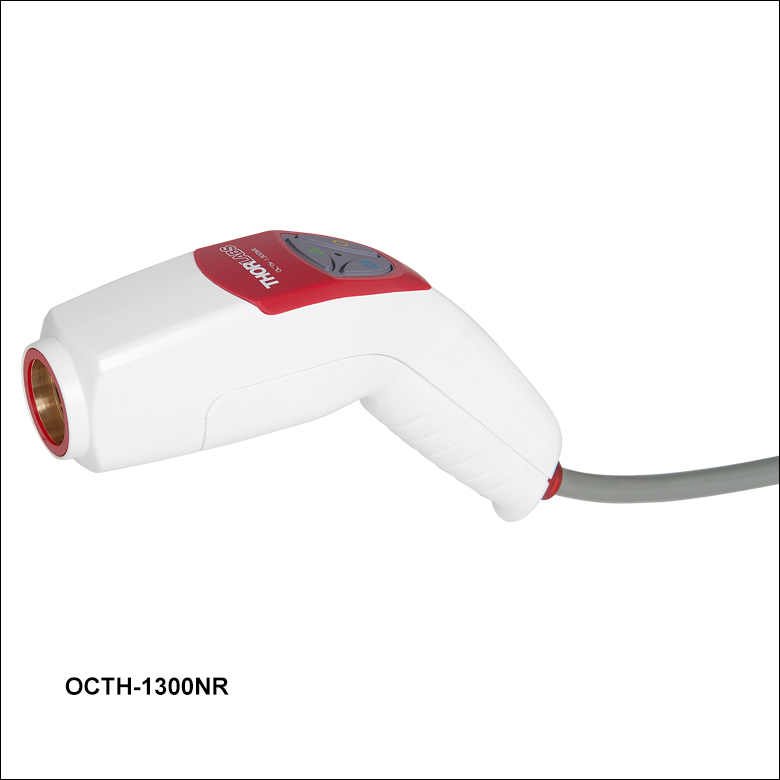 The compact and lightweight OCTH-1300NR Handheld Scanner is specifically designed for applications requiring high mobility. 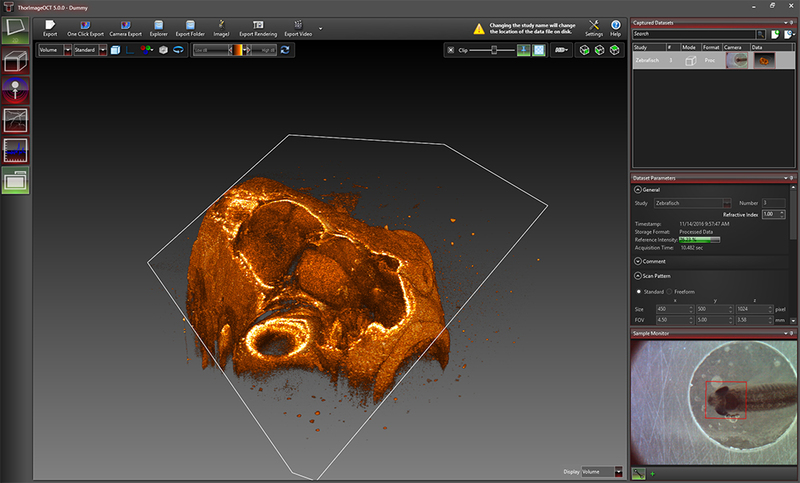 Easy access buttons located directly on the scanner enable fingertip control of our ThorImage OCT Software. 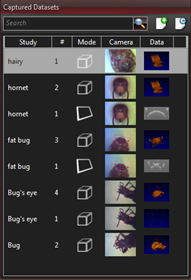 Users can program each button from a selection of imaging and acquisition software controls and the software uses visual and audio feedback for button presses. 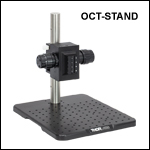 Compatible scan lens kits and sample z-spacers for the OCTH-1300NR are sold below; z-spacers help maintain the correct working distance when using the handheld scanner. 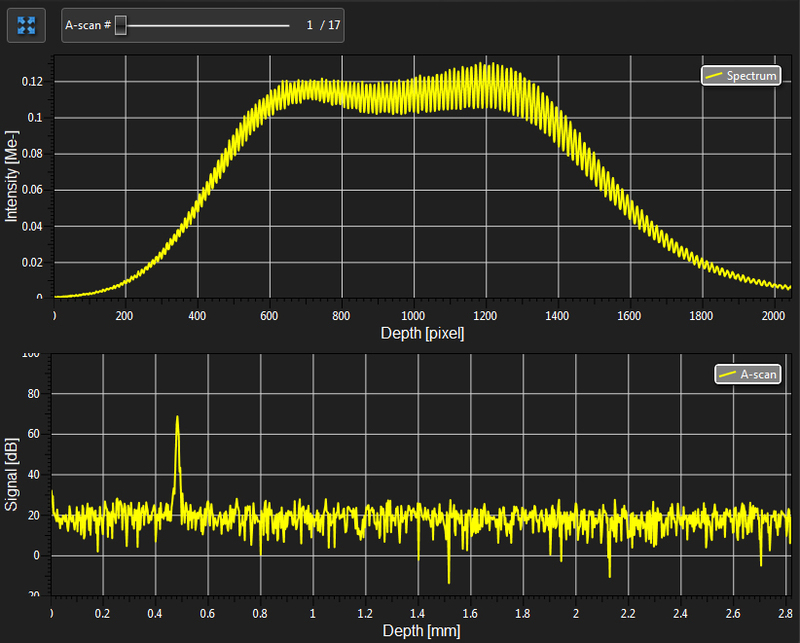 Please note that due to the limitations of the internal MEMS scanner, the frame rate (i.e. 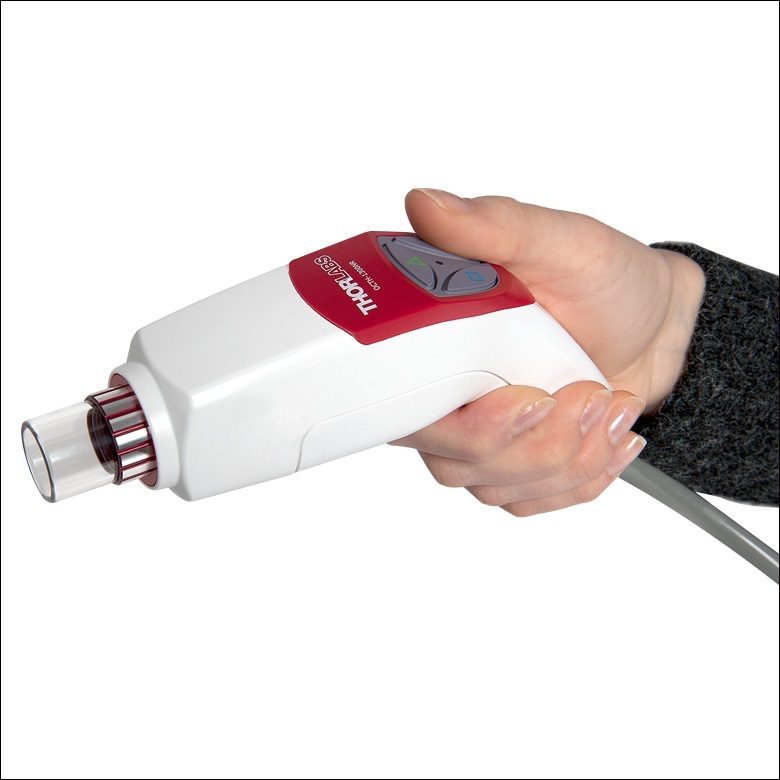 B-Scan rate) is limited to 25 frames per second when using the handheld scanner. The illumination tube guides the white light for the live video feed around the scan lens. 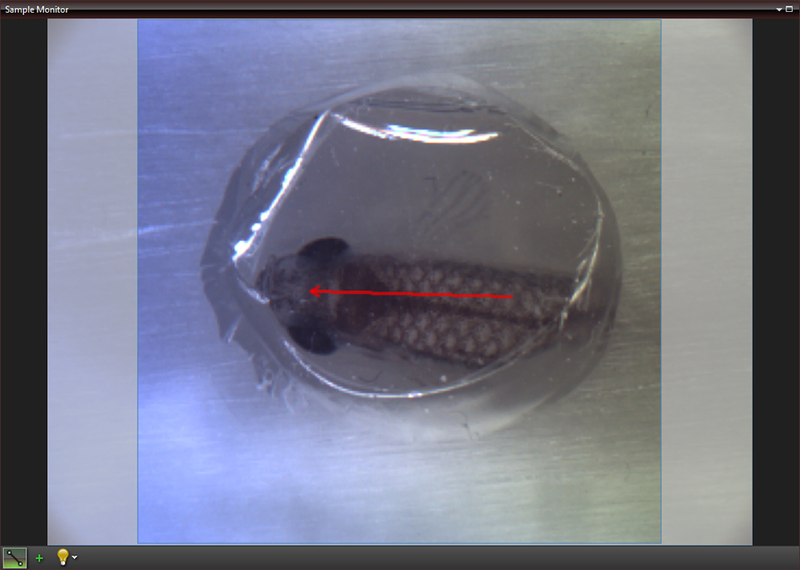 As the OCT probe beam passes through the scan lens and is not affected by the illumination guide, the use of the illumination guide is optional. Removing the illumination guide can be convenient for accommodating applications with tight space constraints. 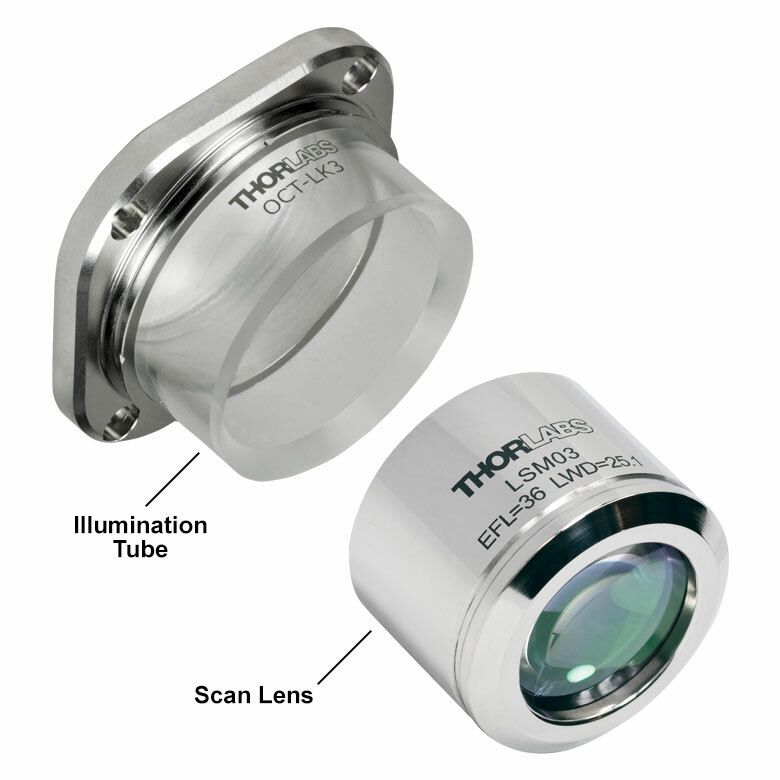 Thorlabs’ Scan Lens Kits enable easy exchange of scan lenses in an OCT system, providing the flexibility to tailor imaging resolution or working distance for each application. 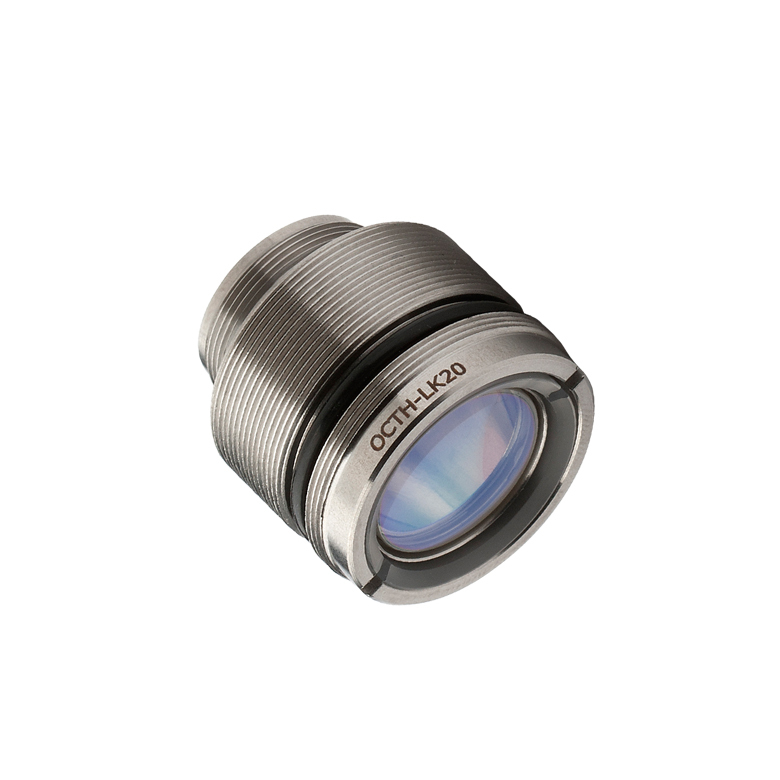 Based on our line of OCT telecentric scan lenses, these lens kits minimize image distortion without extensive post-image processing and maximize coupling of the light scattered or emitted from the sample surface into the detection system. 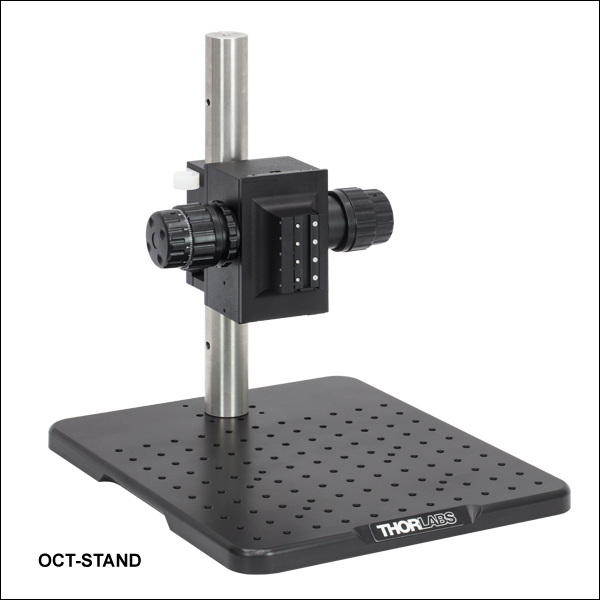 As seen in the table below, we offer scan lens kits compatible with the standard (Item # OCTG-1300NR) and user-customizable (Item # OCTP-1300NR(/M)) scanners, as well as two lens kits compatible with the handheld scanner (Item # OCTH-1300NR). 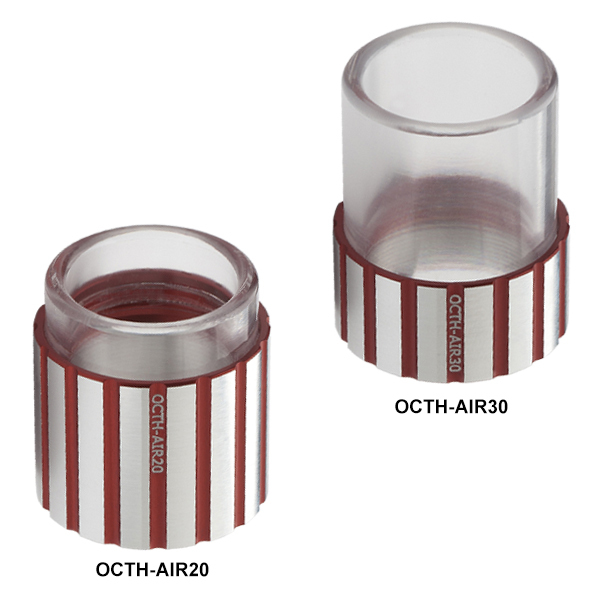 Additionally, we offer two ring-style Z-spacers that are designed specifically for the OCTH-1300NR Handheld Scanner; these spacers greatly assist in maintaining the correct sample working distance when using the handheld scanner. 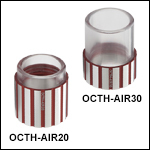 The spacing distance on the OCTH-AIR20 and OCTH-AIR30 Z-Spacers can be adjusted by rotating the spacer. We recommend purchasing a sample z-spacer if using the OCTH-1300NR handheld scanner.